Ilieva Ageenko has joined Chicago-based Grant Thornton LLP (FY 13 net revenue of $1.3 billion) as a managing director and leader of its financial services advisory model risk management practice, based in Charlotte, N.C. 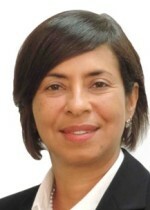 Most recently, Ageenko was a senior vice president and quantitative risk executive at Bank of America, where she led the enterprise quantitative risk technology organization, built and managed data sourcing and modeling capabilities, and managed commercial loss forecasting model to support stress testing and Comprehensive Capital Analysis and Review. Previously, she held senior roles at Wells Fargo and Wachovia Bank.